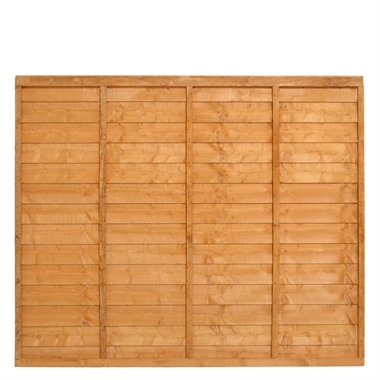 A old favourite, this traditional looking Lap Panel is constructed with a double framed overlap panel as a standard. 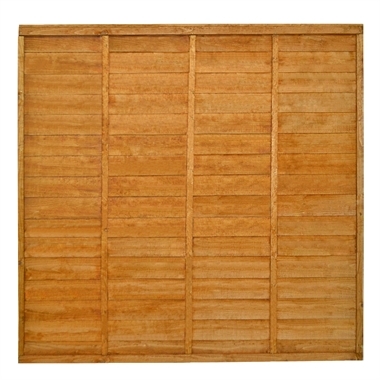 The panels under go a golden brown colour treatment process to protect from wood rot. A traditional lap panel with smooth edged horizontal boards rather than the traditional wavey edge, giving it an elegant and cleaner look. 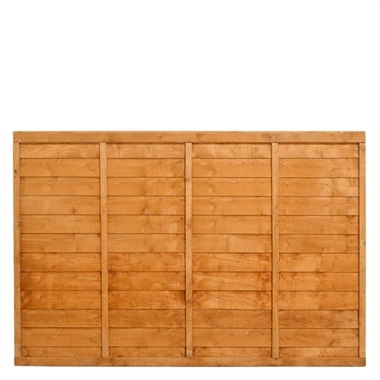 Its robust framework with three vertical battens ensures that these lap fence panels are strong and provides a secure garden fence. 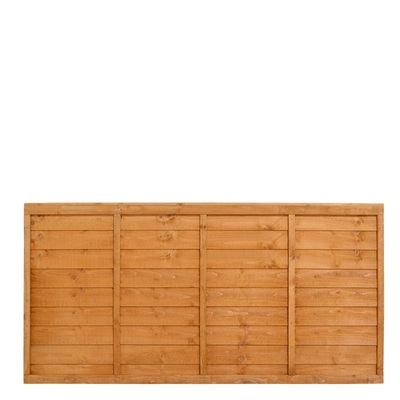 The Standard Lap Panels are 1.83m wide and are available in 1.83m (6ft), 1.2m (4ft) and 0.9m (3ft) heights.